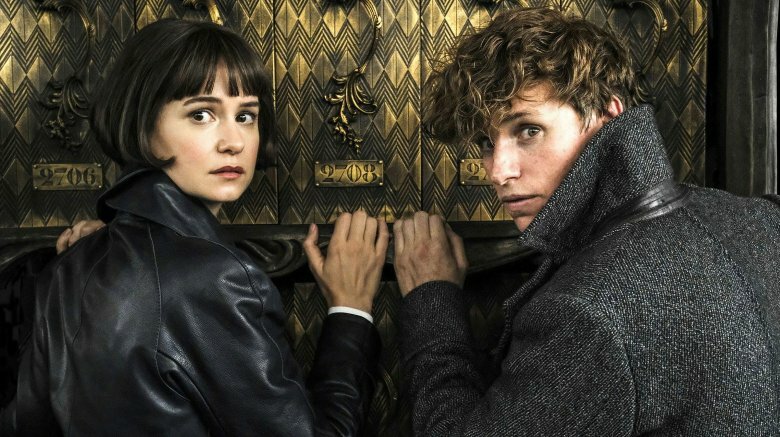 In terms of critics' reviews, Fantastic Beasts: The Crimes of Grindelwald is the lowest-rated Harry Potter franchise installment yet — even if its box office results are comparable to its predecessors, the film hasn't earned the same kind of magical reverie of the nine chapters to come before it. Perhaps the reason for the widespread critical dismissal of the movie is that while it has some moments that fit right into the mold of the World of Witchcraft and Wizardry, there are just as many wonky plot points and character development issues that make the film feel like any other humdrum CGI-heavy fantasy movie. While Fantastic Beasts and Where to Find Them managed to carve out a new piece of wizarding history, illuminating more about characters fans had only known in name before, the new movie often feels like it's in search of a purpose. With all that in mind, here's a look at some of the movie's biggest strengths, along with its most glaring weaknesses. 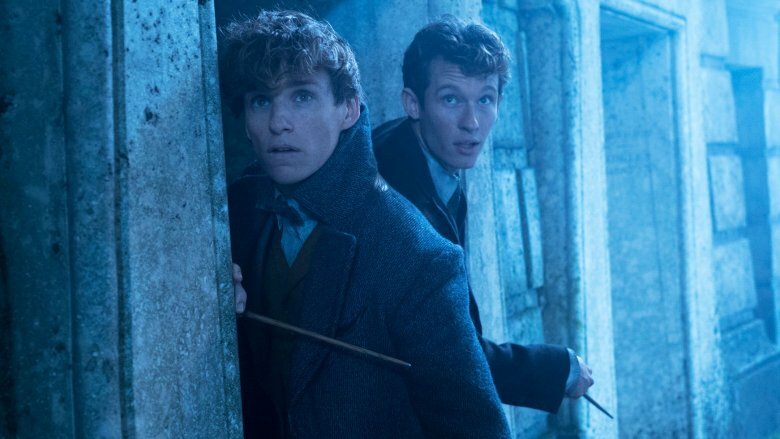 One major new character introduced in Fantastic Beasts: The Crimes of Grindelwald is Theseus Scamander (Callum Turner), the respectful, albeit at times distant, brother of Newt Scamander (Eddie Redmayne), the hero of the Fantastic Beasts series. 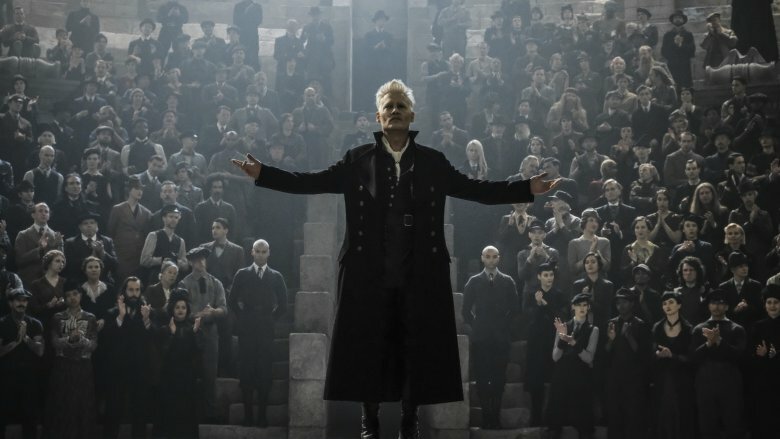 Similar to his namesake in Greek history, the character isn't afraid to take a stance against the fanaticism that's in bloom with Gellert Grindelwald (Johnny Depp) and takes his civic duties as an Auror very seriously. The arc that Newt and Theseus share throughout the film is that, while Newt is less interested in standing up to the potential tyranny and terror that Grindelwald promises, he finds himself in the crosshairs of that conflict all the same and decides to align with his brother after they both suffer the loss of Leta LeStrange, Theseus' fiancee, whom Newt also loved in his own way. As Newt declares to his brother that he's finally ready to take sides in the battle ahead, their bond is believable, and it's not hard to root for Theseus to become the epic war hero we know from the Harry Potter histories. 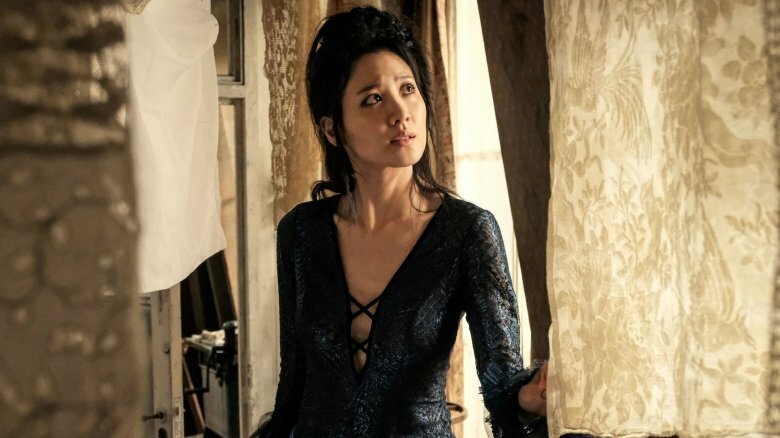 After the previews for The Crimes of Grindelwald revealed that Nagini would appear in the film not as the lethal serpent fans feared in the Harry Potter series, but as a two-legged woman (portrayed by Claudia Kim) who suffers the maledictus curse and would eventually become a full-fledged snake, the response was mixed. Some found this unexpected inclusion of her history intriguing, while others were miffed that the series — which had already suffered its fair share of controversy over the lack of diversity in its cast — would relegate its most prominent Asian character to an eventual fate as a white man's servant. Achieving that end would require actual erasure of her personhood, so it caused quite a stir before the movie was even released. As it turns out, those concerns may have been well-founded, because other than one scene that shows her escaping the cage of a traveling circus master who didn't even seem to care when she left, there's simply not much to her in the movie. She says very little, except to respond to whatever Credence (Ezra Miller) is doing, and she certainly doesn't drive the plot or experience any kind of significant development as a character. There isn't even a whiff of the fan theory that she might become Voldemort's mother later on. In other words, those who suspected she might be made into walking, talking window dressing were unfortunately correct. The return of the niffler (make that plural, 'cause there are babies, too) in The Crimes of Grindelwald does seem a little like an excuse to throw in another cool slow-motion shot of the cute little critter getting into some more thieving mischief — a moment that was inarguably one of the coolest parts of Fantastic Beasts and Where to Find Them. 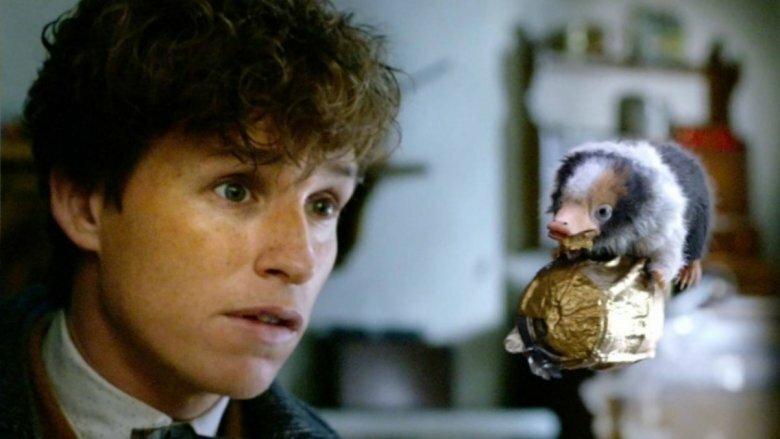 And it also requires some serious suspension of disbelief to accept that Newt would simply have to bring the niffler and the similarly adorable and fragile bowtruckles along on his newly urgent mission to find Tina, after apparently overlooking her absence from his life for who knows how long. However, the tiny little echidna-like creature proves to be more valuable to the plot than many of the other characters, including several of the wizards running around. While most of the two-legged types stand and stare at the horrors unfolding with Grindelwald, the niffler is unafraid and single-minded in his mission to collect all the shiny bits, even from the big bad that's got everyone else running for dear life. Put simply, the niffler has one job in this movie, and it's a job well done in the end. The fact that it also ratchets up the cute factor in the film a hundredfold is merely a bonus for audiences. There are far too many members of The Crimes of Grindelwald's cast that don't even need to exist. For instance, Newt's zookeeper Bunty (Victoria Yeates) spends most of her screentime being told to go away and is never heard from again. And Rudolph Spielman (Wolf Roth) serves no purpose other than to showcase the Ministry's incompetence in deciding to move Grindelwald from his current confines. Even the Aurors, apart from Theseus, are so vague and uninteresting that they could easily be trimmed for time and cost the film exactly nothing. Having so many throwaway characters coming and going throughout the film, as it bounces from one location to the next, grinds away at the architecture of the story. 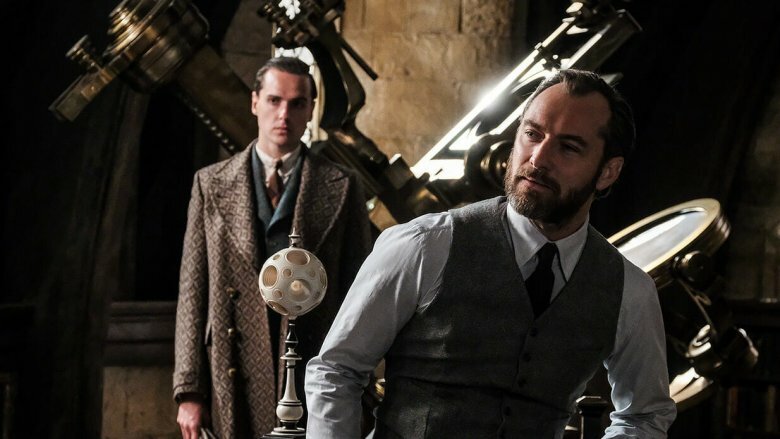 Whereas the Harry Potter series benefited from having a definitive locale and a revolving cast of familiar faces involved in the titular character's adventures, The Crimes of Grindelwald regularly introduces people that fans don't even have time to care about before they're gone and forgotten about. The result is that the film feels scattershot instead of cohesive, which is quite different than what Harry Potter fans are used to. It might be all too brief, but those sweeping shots of Hogwarts in all its pre-Wizarding War glory feel like a warm dip into the pensieve. The return to the school's grounds creates an Easter egg extravaganza for Potter fans, as certain relics of the original series come back into view (the Mirror or Erised, the boggart chest in the Defense Against the Dark Arts classroom, the Great Hall all lit up like old times, and the many familiar pieces of wizarding history contained in the headmaster's office, to name a few). There's also a cozy familiarity introduced by those glimpses of the student body that are contained in the scenes. Their robes bear the colors and insignia of their houses, and their excitement and deference to the professors' instructions reminds us of a simpler time, when Harry Potter and his pals' biggest concerns were getting the three-headed dog to sleep and outrunning the giant hungry spider lurking in the Forbidden Forest. Even that brief return to the stone bridge feels like a connection to the glory days. It's too bad Hogwarts doesn't serve as the central backdrop for the film — New York and Paris are both lovely enough, but Hogwarts is simply spellbinding to return to. Fantastic Beasts: The Crimes of Grindelwald might be mostly about the titular villain's steady ascension to terrible power and setting up his eventual battle with Dumbledore, but the secondary plot of the film is Credence's journey to discovering his true parentage. He might be a badass obscurial who can blow up entire buildings if he gets mad enough, and he's already defied the odds by surviving past his 10th birthday, but the guy has some serious abandonment issues. This leads him to Paris, where he hits a dead end by discovering that the woman he thinks is his mother isn't, and she's killed before she can tell him anything else. Meanwhile, the LeStrange family history becomes a matter of grave importance to Newt and everyone else because there's a chance he could be the long-lost son of Corvus LeStrange. 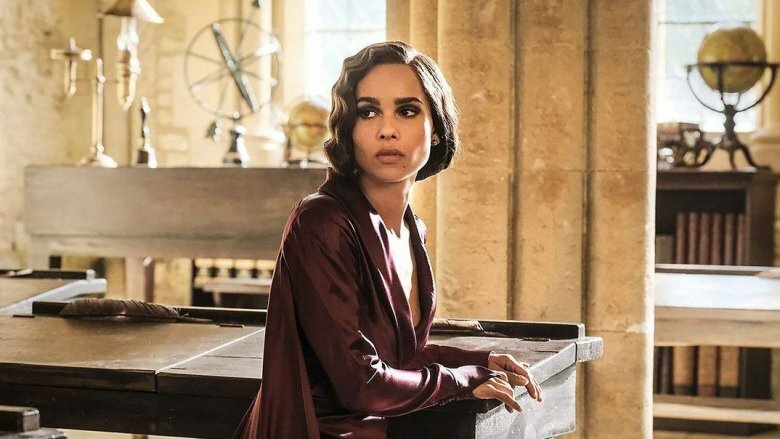 This all culminates in a very anticlimactic showdown between Leta LeStrange and her other half-brother who wants to revenge-kill the missing brother who's decidedly not Credence because the kid is already dead. Not only is this whole movie-long endeavor unfruitful, but it's also fatiguing and dredges up a family tree tutorial that is as inconsequential as it is uninteresting. When the big twist is revealed by Grindelwald — that Credence Barebone was actually born Aurelius Dumbledore, which implies some hidden connection to Albus Dumbledore — the moment doesn't pack as much power as it was meant to. 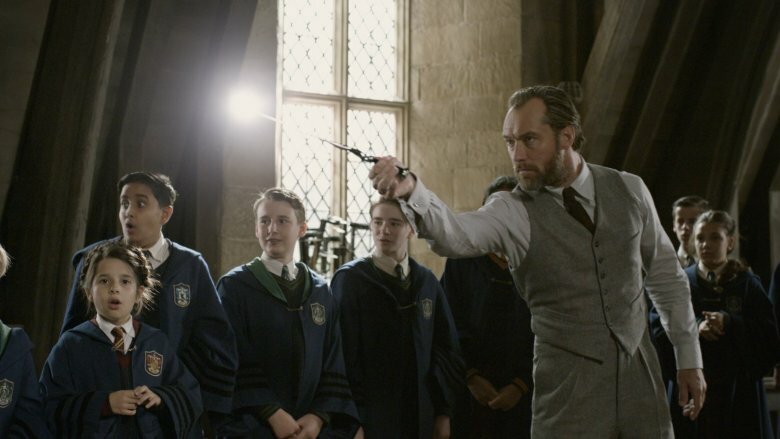 There have already been two formidable portrayals of Albus Dumbledore in his later years — by Richard Harris and Michael Gambon — but Jude Law brings something entirely new to the role of the understated grand wizard. He might be a bit more cheerful than his later visage, but that could easily be chalked up to the fact that this version of Albus has yet to experience either of his two big battles with darkness. It's also understandable why some members of the LGBTQ supportive community have been disappointed to learn that his status as a gay wizard is only hinted at by innuendos in the film, but perhaps the next installment will more thoroughly explore his romantic history with Grindelwald beyond just their blood bond and his note that they were "closer than brothers." For now, though, Law's portrayal of Dumbledore is of someone who's still clever and deeply good, despite his admitted misgivings, which is a refreshing look at his past. As ever, he is a fine and caring teacher for his students, and the health of the wizarding community is of the utmost importance to him. We've yet to see his real skills in action, but with a more agile and energetic wizard at the wand in this era, there's a lot to look forward to from this character revival. 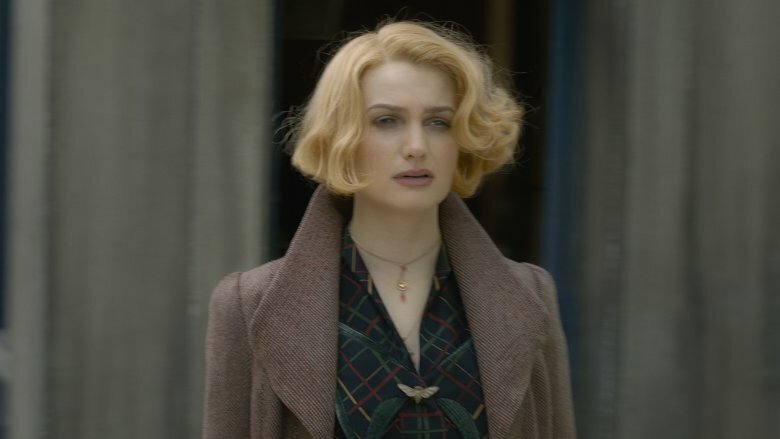 In Fantastic Beasts and Where to Find Them, Queenie (Alison Sudol) is quirky, but her charisma and unexpected adulation of the ordinary no-maj Jacob (Dan Fogler) only makes her more charming as she flits around with her good humor and lack of cynicism. In The Crimes of Grindelwald, though, she's morphed into a clingy and petulant person who spends half the movie devastated that her boyfriend doesn't want to condemn her to a life spent under the dementors at Azkaban for violating wizarding law by marrying him, and then after profusely apologizing for stomping off like that, she decides to ditch him again to take Grindelwald's side under the guise that he's fighting for her right to stay with someone like Jacob. It's nonsense, really. We have to assume that the purpose of her plotline is merely to showcase how someone like Grindelwald might be able to court someone who is otherwise good, like Queenie, but all the movie really does is make her seem flimsy and hysterical, which is a major letdown from the enigmatic person we were introduced to in the first film. 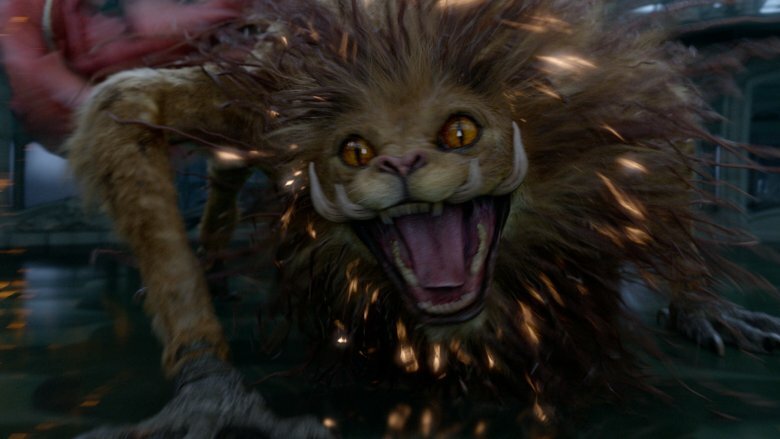 One of the most fun things about Fantastic Beasts and Where to Find Them was the introduction of some new mythical creatures we'd yet to meet in the Harry Potter series, despite Hagrid's menagerie of bizarre pets. This time, the same is true as Newt proves he can befriend any wild wizarding creature by riding the dragon-like sea creature called Kelpie (basically a seaweed-covered version of the Scottish water horse) and taming the destructive Zouwu with a simple cat toy and some much-needed space to run inside of his spelled attache. There are some creatures that don't come through quite as well as others — those Matagots at the French Ministry look to have suffered from some serious budget cuts in the visual effects department — but the ones that Newt makes friends with are welcome additions to the magical creature collective and serve up some of his best moments, proving that he is indeed a talented animal charmer worthy of the fame that will follow his name. 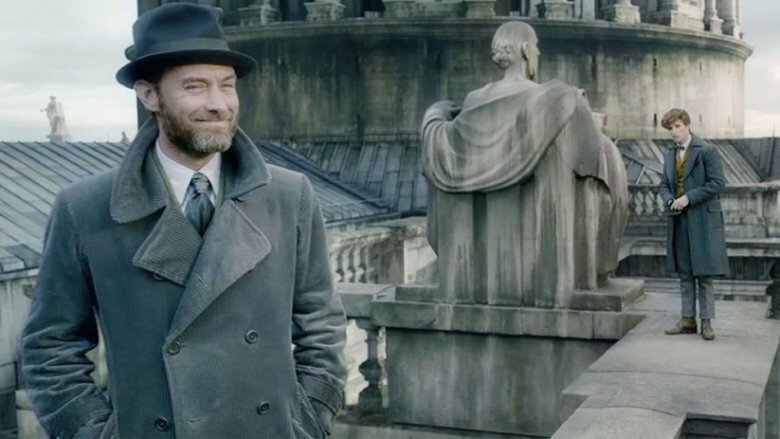 The Fantastic Beasts and Where to Find Them series was always expected to blur the lines between the wizarding world and the realm of no-majs (or muggles, can't-spells, or whatever other terms may also exist for non-magical humans). And since the wizards are beginning this large-scale conflict around the same time humanity endured its second world war, some parallels, and maybe even a few crossovers, were also foreseeable. However, what happened in Fantastic Beasts: The Crimes of Grindelwald was much too much. It was cringey enough when Leta LeStrange revealed that her true brother was one of the casualties of the Titanic sinking, but when Grindelwald summons up some images of what humans are capable of as a reason for rejecting their current rule over the world, it's one step way too far. The shots of Paris becoming ground zero for a big air strike and the eruption of an atomic bomb would be more than enough to highlight some of the horrors of human history, but the inclusion of the sight of Holocaust victims being marched to death camps seems deeply disrespectful and unnecessary.